The kitchen is for sure the mirror of a country and Italian cuisine has developed over the centuries with many influences. The food of Italy reflects the cultural variety of its regions as well as the diversity of its history. Italian cuisine is included in the so-called Mediterranean gastronomy and is imitated and practiced all over the world. 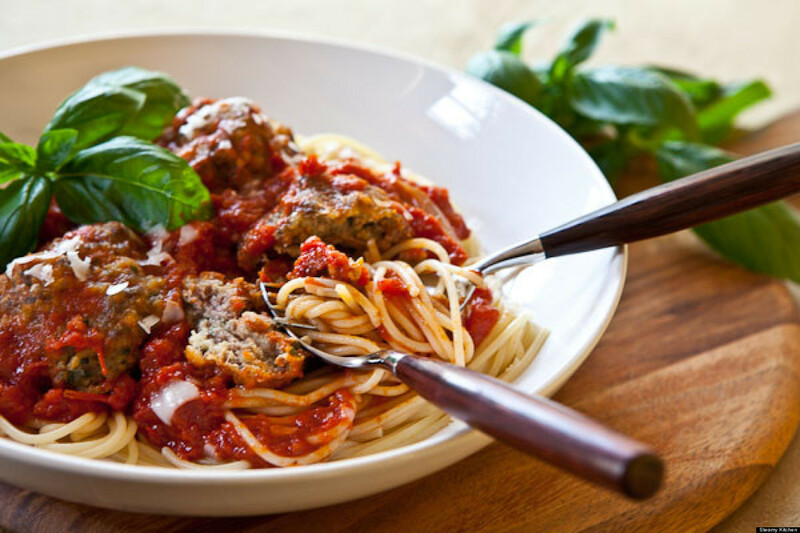 Without a doubt Italy has one of the finest and most famous cuisines in the world. From the start, you need to know that Italian food does not mean just pizza and spaghetti. Italian cuisine is incredibly rich in flavors and textures. Italians are great gourmets and every meal has 5 dishes. The most famous recipes, in Italy, have been written by mothers and grandmothers, not by great chefs, and this makes Italian cooking a home cooking, easily reproducible and often reproduced abroad, so as to become the most popular cuisine at world. The traditional food of northern Italy is characterized by soups, cooked pasta and meats boiled in wine and butter. Use less olive oil, tomato and dry pasta. The north of Italy has as typical dishes the carpaccio (this dish consists of slices of raw meat or fish macerated with lemon juice, olive oil or cheese), the vitello tonnato or vitel tonné and the crocchette di patate, in addition to the risotto (this typical Italian food is made with rice and cheese. There are different types of risottos with different ingredients like cheese, pumpkin, spinach or seafood). 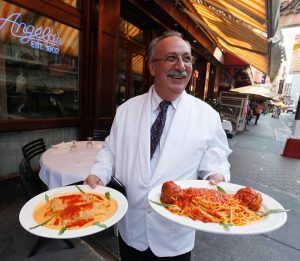 Among its outstanding sauces is the pesto and the Bolognese. On the other hand, the cuisine of southern Italy is characterized by simple dishes. Its main ingredients are olive oil and vegetables typical of the area. The most consumed dishes in this part of Italy are the popular pizzas (traditional Italian pizza is a thin crust, similar to baked pita taste and texture. Each family owned business features their special sauce, basil and mozzarella cheese. This dish should definitely not be missed if you want to have a taste of true Italian cuisine), in addition to spaghetti and macaroni. The cuisine of central Italy is characterized by ingredients such as olive oil, pecorino (a hard Italian cheeses made from sheep milk), vegetables and sausages. The most consumed meats in this area are chicken, lamb and pork. Among the most popular dishes of the center of Italy is Bistecca alla fiorentina (this famous dish from Italy consists of a grilled veal chop). Among the traditional desserts are ice cream, better known as gelato, tiramisù (known throughout the world for being so exquisite, it is a cake made with cookies called “Savoiardi, coffee, cocoa powder and Mascarpone. The Tiramisu was born in Venice centuries ago, but nowadays it is a cake that is made throughout Italy). The typical drinks of Italy are limoncello, grappa and sambuca. A trip to Italy is for sure a gastronomical experience!